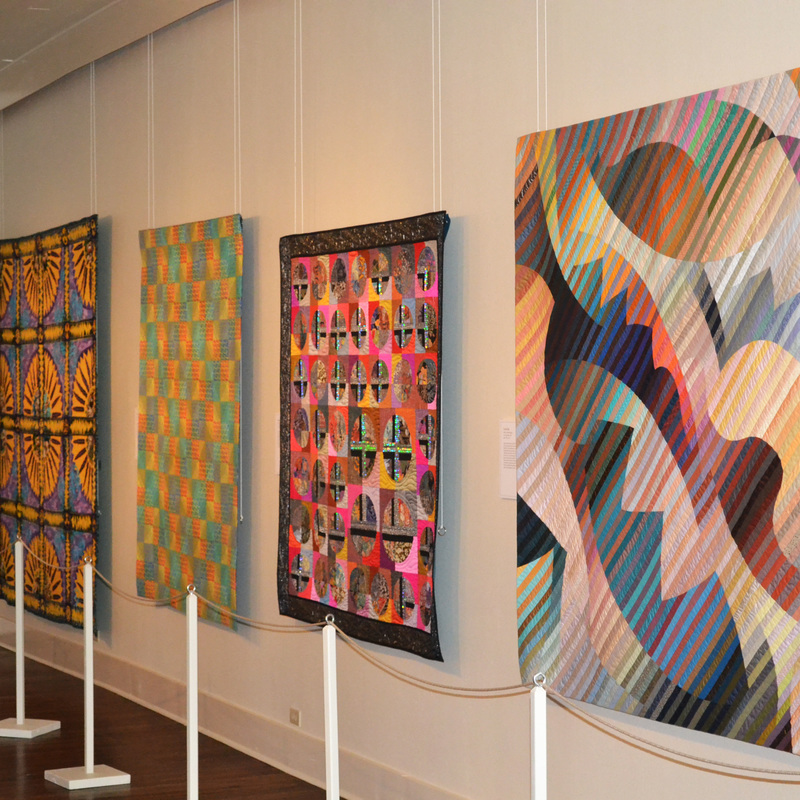 Hang Quilts in Museums, Galleries, Libraries, Churches, Stores and Studios. 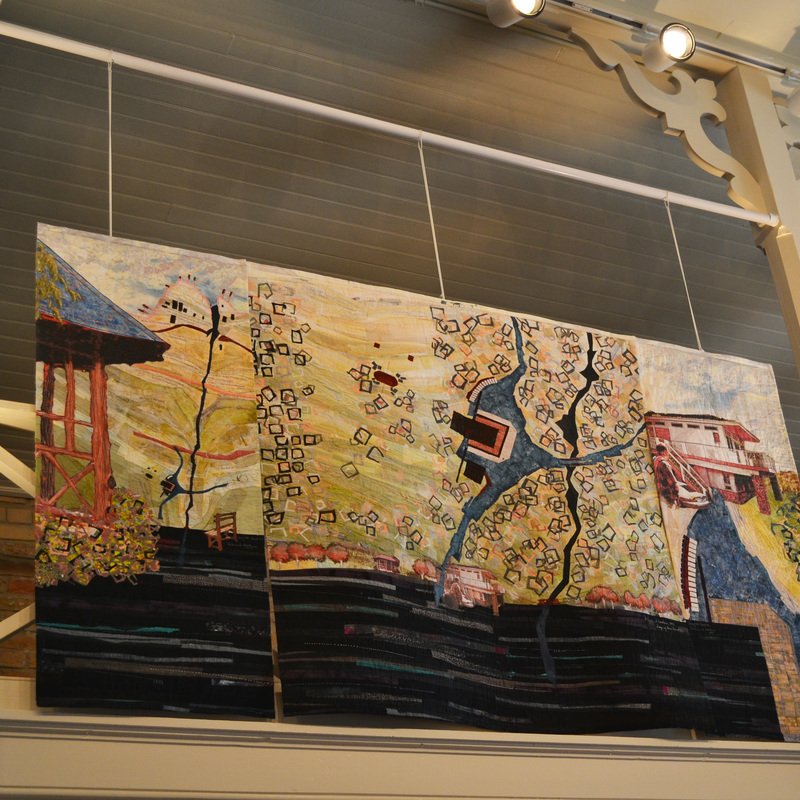 Wherever your creative imagination may envision hanging fabric and fiber arts, let us collaborate on hanging solutions. 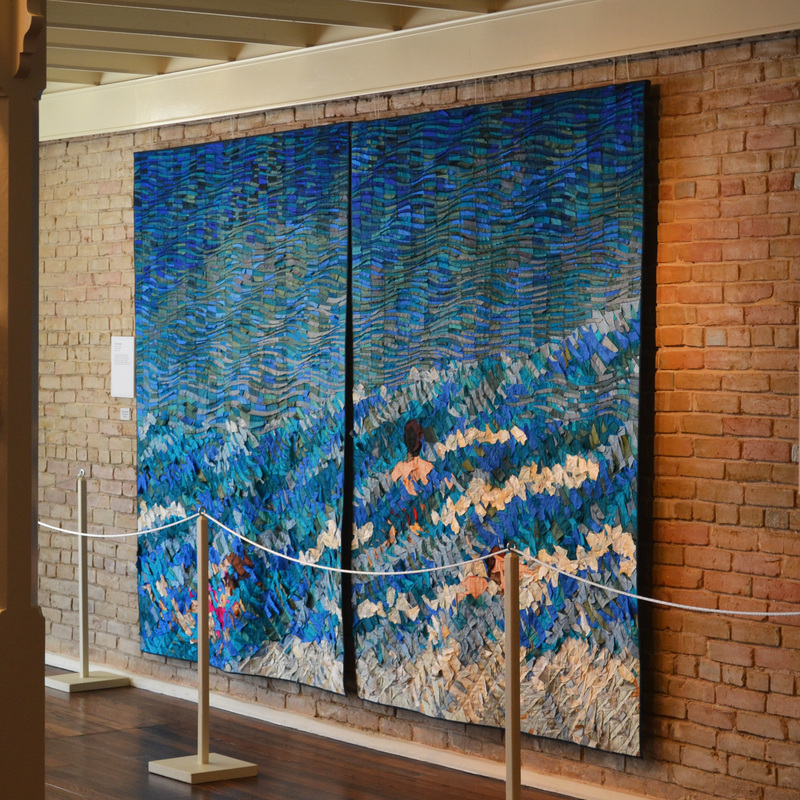 We do custom designs for foyers, open beams, high ceilings, historical buildings, display cases and more. Hangers can hang from slat-walls panels, from crown molding, or from beams. 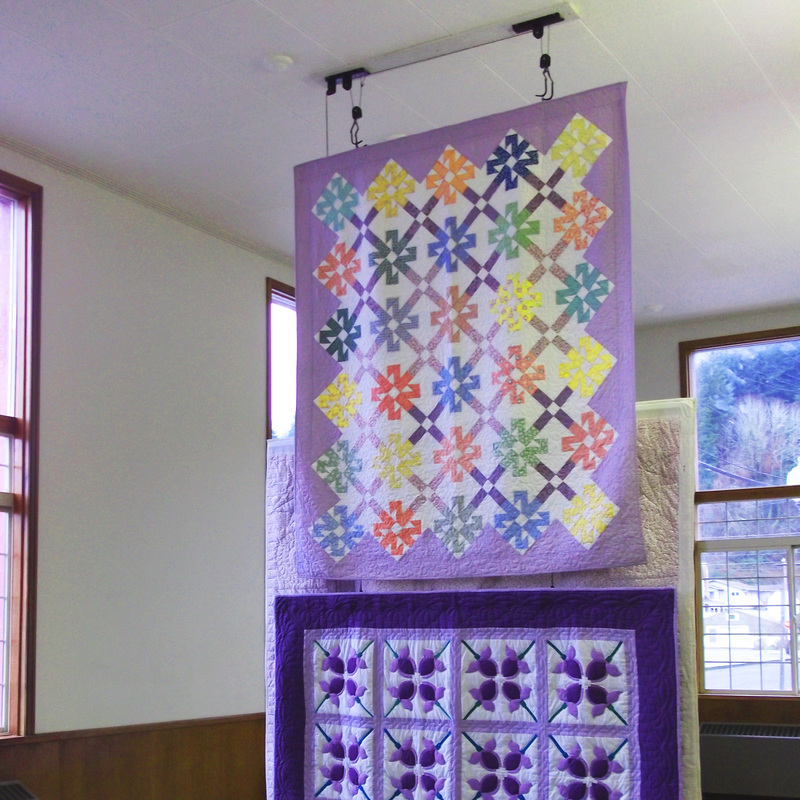 Custom tools allow quilts to be raised and lowered from standing on the floor. We can design pulley systems, track systems, ceiling lifts and more. We can provide you and your contractor or helpmate detailed instructions and components required for proper installation. 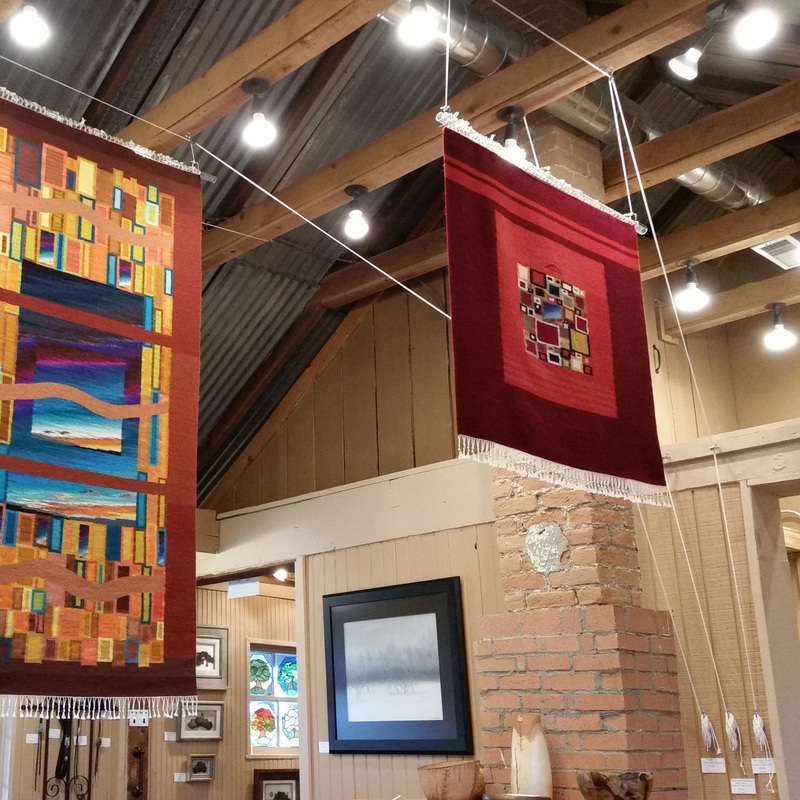 We can design back-to-back hanging displays. These hangers are custom made or designed. If you are an interested individual or part of a group who may be interested in special needs, please phone or email so we may discuss further. 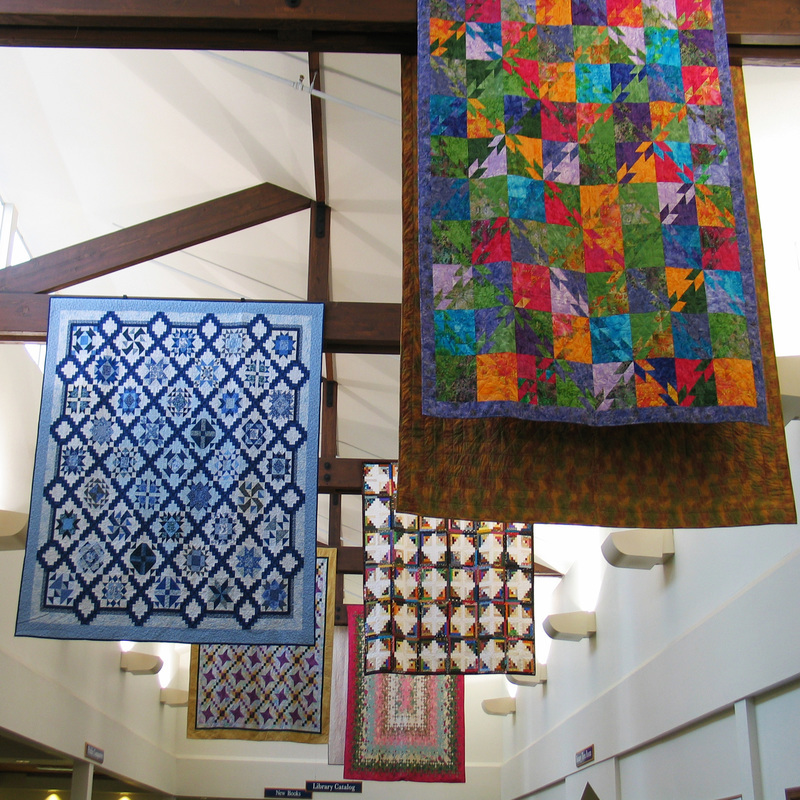 We look forward to helping with your special quilt exhibit particulars!